Wednesday, December 2, 2015, 3 pm, Vancouver City Hall, Town Hall Meeting Room. 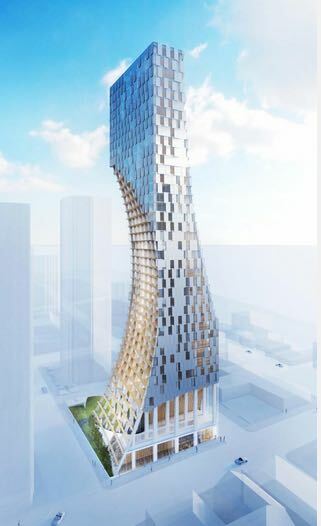 With the recent open house for the Westbank project of Kengo Kuma’s building on 1550 Alberni and with the same project scheduled for a public review at Vancouver’s Urban design panel, I have been thinking about architecture. With this in mind I dipped into some my old university readings with Kenneth Frampton’s Modern Architecture: a critical history. Sadly there was no mention of Kuma, but also none on Frank Gehry, which made me realize that since 1985 there have been some significant changes in the field. Another realization is that Kenneth Frampton is still alive and going strong. Frampton’s seminal introduction to modern architect was updated in 2007 with small entries on Kuma’s work. Even more impressive is he has another book scheduled to be released this year, A Genealogy of Modern Architecture. Frampton also has a whole book dedicated to the study of Kengo Kuma’s work. Tagged with: "Kenneth Frampton", #architecture, Kengo Kuma, Westbank. ← Is parking in the West End driving you crazy?